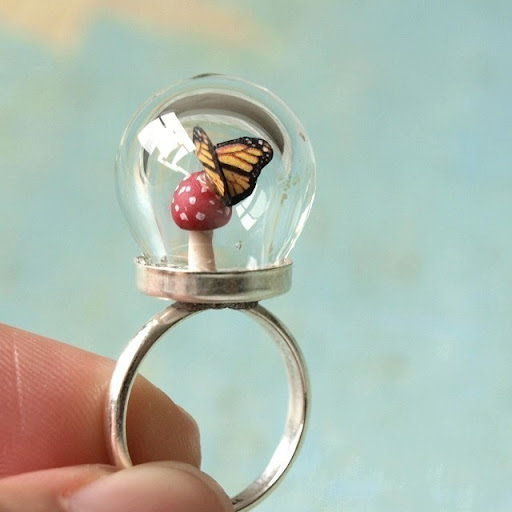 Quite simply, just looking at these tiny woodland terrarium rings makes me happy. Talk about having the world at your fingertips... and what baby wouldn't be fascinated by touching and focusing on the tiny little globe of life on your hand? A variety of these enchanting rings may be found at the Etsy shop Woodland Belle, where they are handmade with meticulous detail and care.